This award-winning documentary is a compelling, highly moving, human-interest story that vividly conveys the strength of the human spirit. 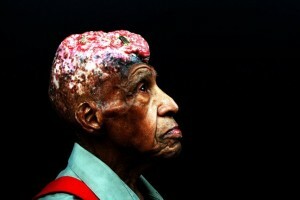 The film focuses on a man who transcended the horrific repercussions of human medical experimentation. Hole in the Head: A Life Revealed documents how the lives of two friends- one the victim and the hero of the story, and the other a caring friend who saw it as his duty to bring the narrative to light- were changed forever through their companionship. 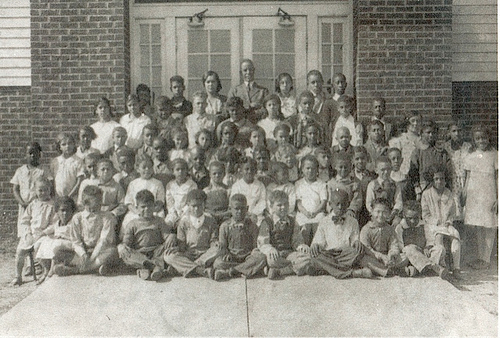 This feature length investigative report tells the story of Vertus Hardiman and nine other children, who attended the same elementary school in Lyles Station, Indiana, during the 1920′s. In 1927, the group was severely irradiated amid a medical experiment sponsored by their local county hospital. The trial was misrepresented as an innovative cure for scalpel ringworm, a condition that was prevalent among children at the time. In reality, the ringworm fungus was a persuasive tactic used to gain access to innocent children. Parents who were eager to rid their children of ringworm blindly signed permission slips allowing the treatment. Of the participants, Vertus was five-years-old and the youngest. After nearly 20 years of friendship with writer/producer Wilbert Smith in a church choir, Vertus unburdened himself to his friend by exposing his physical problems – specifically an acutely malformed head, with an actual hole in his skull. Remarkably, Vertus’ suffering was unknown to any person in his community because he religiously wore a wig and woolen beanie to conceal his afflictions. During the filming, Vertus reveals his secret stating, “For over 71 years only four individuals outside of a few medical specialists have ever seen my condition. I hide it because I look like some kind of monster.” Throughout his life, Vertus was persistently criticized, teased, and scorned by individuals who had no idea of what he was hiding. Additionally, the documentary illuminates that the experiment hosted at Lyles Station was not an isolated occurrence. Another radiation-based experiment was hosted by a foreign nation and funded by the United States during the 1950′s. Equally troubling, some of these victims were eventually transported to the United States in cages for further study. As remarkable as the story may appear, this film is not an indictment of government experiments. Rather, Hole in the Head: A Life Revealed reflects the incredible strength of one man who survived harsh circumstances through the power of his human spirit. His simplicity and life philosophy were contagious and always lifted the spirits of those he encountered. Enter the story with Wilbert and witness firsthand how Vertus carved his way to happiness, using his vast capacity to love and forgive. This account constitutes a timely message that is much needed by our world today.